Back in June, it was decided to use Mir + Xmir by default in Ubuntu 13.10 (for open source drivers only) but that will no longer happen "due to some outstanding technical difficulties". A native Mir + Unity 8 will still be used for Ubuntu Touch so that's not affected by this decision. According to a post on the Ubuntu-devel mailing list, the issues are in XMir part of the stack which provides the compatibility layer between X server and Mir - more specifically, the XMir multi-monitor support which doesn't work "to the extend we’d like to see it for all of our users". 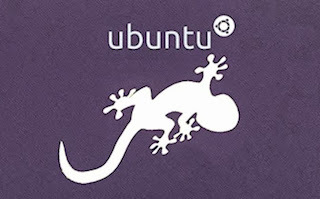 "We always planned to ship Mir + XMir on Ubuntu 13.10 Desktop but after months of furious XMir development we needed to make a judgement call about whether we could assure a quality overall Ubuntu Desktop experience with XMir across all supported configurations. While Mir is in good shape for this and XMir is close, we didn’t feel that the user experience around XMir's multimonitor feature was meeting the parity standard." A Q&A about this on the Ubuntu wiki mentions that the recent revert from Intel (the Intel Xorg driver got XMir support but the change was later reverted) has nothing to do with this decision. Mir and XMir will be available in the repositories so users can use Xmir if they want, but will not be used by default.